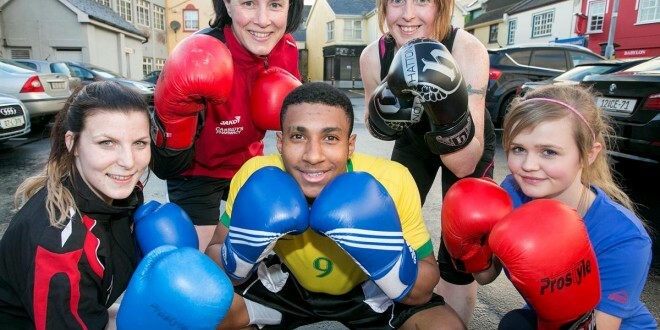 The playground in Lahinch, which was badly damaged by storms earlier this year, will be one of the beneficiaries of a white collar boxing event taking place in Ennis next month. Tide versus Pride is being organised as a joint fundraiser for Lifford AFC and Lahinch Playground Rescue Fund. Lahinch playground has been closed for months because of the severe storm damage and the committee behind it are hoping to have it reopened before the summer. “We need to get the ground works finished in it to install the accessible equipment. We wanted to do this before the storm damage and had started fundraising for that but if we don’t have a playground, we can’t get more equipment. Accessible equipment is quite pricey. It would be about €20,000 for that alone, just for the equipment and its installation,” said committee member, Nicola Hartigan. “Unfortunately, the playground is still closed and we have signs up indicating that but people are not abiding by the signs. The playground has not been signed off on by health and safety. It is not currently safe for use. The ground is uneven, some of the equipment is damaged and while there is still a lot of work to do, we are close to opening it. We will have the playground open before the summer and, hopefully, this fundraiser will mean we can get the repairs done, we can buy and install the accessible equipment and then have a little left over to cover maintenance and insurance for the next few years,” she added. Nicola is one of the people who will step into the ring on June 14. “The training is getting very intense. I have done boot camps before but nothing like this, not boxing one-on-one, nothing this physical,” she said of the training regime. “We were looking for one final fundraiser to get the work finished on the playground. We were approached by Lifford AFC and we were delighted because this seemed perfect. I said I would do the training as well, just for fun and to see if we could get more people on board. “I was never expecting to box myself. As time went on though, I was really enjoying it and so now I am going to box on the night too,” Nicola continued. There will be 30 boxers taking part in Tide versus Pride, which means there will be at least 15 bouts on the night. Aidan O’Neill from Lifford AFC is one of those boxing. He believes the event offers real value for money. “It will be a great night’s entertainment. We think it will sell out. Participants are coming from different backgrounds so there will be a lot of interest. It was not easy to get volunteers and there were some people who I thought would be dead certs who didn’t bite at all. Then there were people I thought would have no interest that jumped at the chance,” he said. Lifford will use the funds raised to improve their playing and training facilities. 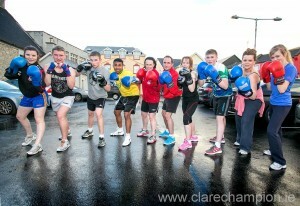 “None of us have boxed before but I have to say that Ennis Boxing Club have been really brilliant for training us. The first couple of weeks were slow progress but it has really intensified in the last few weeks, especially since we started sparring. We have got our pairings now and really it is when you get into the ring with someone who you are boxing against, that is when the real bonding starts,” he said. 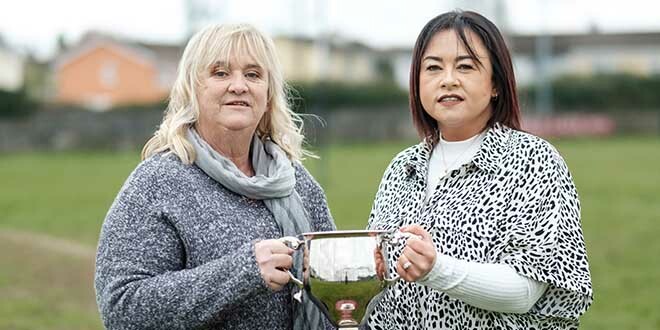 While an Ennis soccer team holding a joint fundraiser with a North Clare playground may seem a little odd, this is not the first time Lifford has been involved with the area. 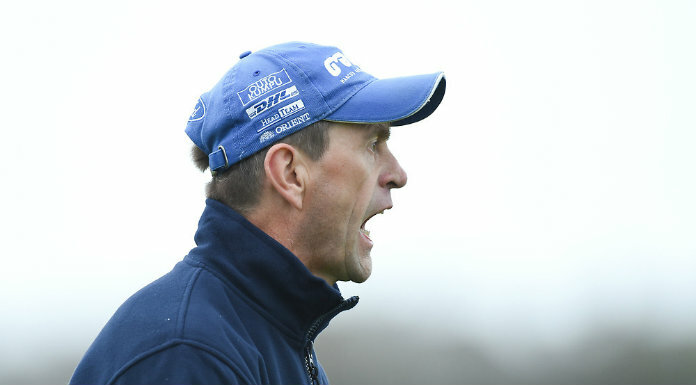 “During the 1980s, Lifford and Ennistymon were amalgamated, so we have always had ties with North Clare,” Aidan explained. Tickets for Tide versus Pride are available from The Snack Shack, Ennis, from Off the Rails in Ennistymon or by calling Aidan on 087 6668226. Participants in the Tide versus Pride white-collar boxing event in aid of Lifford AFC and Lahinch Playground Rescue Fund in the Queen’s Hotel in Ennis on June 14.